For the past weeks, I have been writing a lot about how brands are at risk of becoming invisible, and of losing direct contact with the customer when voice-driven and automated IoT-induced buying will take the upper hand. I think that using AR could be an interesting path for brands to make themselves – literally – visible again. 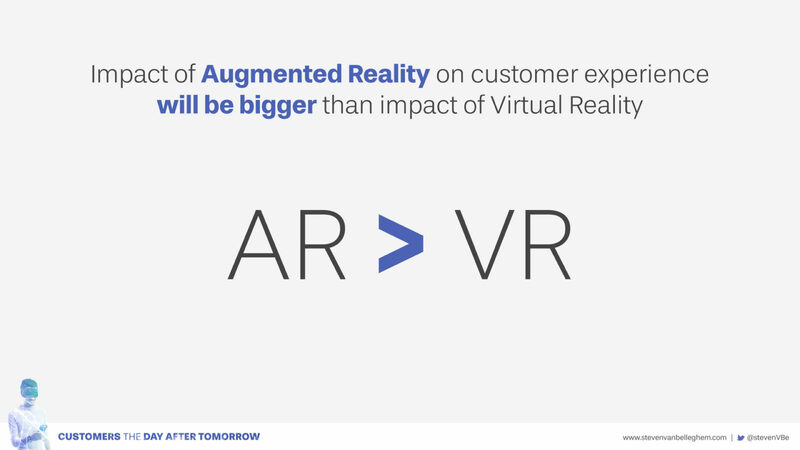 Though augmented reality has been increasingly adopted, I see that a lot of companies are still struggling to find the interesting use cases for their customers. Eyewear retailer Warby Parker – often listed as one of the most innovative companies – recently added a new feature called “Virtual Try-On” in its mobile app for those iPhone devices equipped with Face ID (X, XR, and XS). Customers can put the camera into selfie mode and select frames to check out in real time how these look on them. Though there are plenty of apps and websites that allow you to find out how a pair of glasses will fit your face, Warby Parker is one of the first to render the glasses in a live, 3D preview. This is a clever combination of usefulness and sales driven marketing, by offering a simple solution to a real customer problem. I also love that the app includes social sharing features: the idea is that people can ask feedback from others via social media, as they tend to do in shops, when they take a friend or family member with them. It struck me that brands really like to collaborate in AR projects: just like the digital layer merges with reality to reinforce each other, brands reach out to one another in AR to push themselves to a higher level. Audi and Disney have for instant joined forces, just like Snapchat and Lego or Garnier and Walmart. The last one is a cool project: Walmart customers can interact with AR-induced shelf screens that record their current hair colour and then display a range of recommended shades so they can virtually try them on in real time. On top of that, a barcode scanning option enables users to test all Garnier shades that are available in the store. Garnier initially launched Shade Selector through a mobile and web interface and now Walmart is the first brick-and-mortar retailer to offer the in-store version. Shade Selector will eventually roll out at 37 brick-and-mortar stores for one-year pilots during 2019. It’s a beautiful example of an online-to-offline move that can benefit Walmart, Garnier as well as the customer with an enhanced in-store shopping experience. A great number of augmented reality cases are obviously about placing a layer of useful information on top of an existing context. It’s interesting to see how AR is – as it were – pulling metadata out of products, environments and even people to make them visible for the eye. This type of informative virtual overlay is exceedingly useful in foreign environments, of course. So it’s only logical that the travel and hotel industry would be enthusiastically experimenting with it. British resort Premier Inn, for instance, has The Hub Hotel on its wall maps: when viewed through a smartphone or tablet, these maps include extra tourist information in AR about some of the local places of interest. Another fantastically useful information-driven example for travellers is that of the Waygo app that can instantly translate short foreign texts by pointing a phone’s camera at the text in question. That’s extra helpful for those culture with different types of characters than the roman ones, like in the case of Chinese or Russian. With the current booming of online purchases, companies are actively looking for new ways to distinguish themselves form the crowd. A clever and very convenient way to do so, is by adding value to the characteristically boring process of packaging and delivering. European delivery company Hermes, for instance, recently announced that it will add augmented reality (AR) personalized video messaging to its packaging. It allows receivers to scan the shipping label and view a video message that has been pre-recorded by the sender. Hermes is not the only one to spruce up packaging and delivery. 1-800-Flowers and Subscription service FabFitFun have been doing the same thing with AR. AR is not just very convenient for testing out clothes, make-up, hair colour etc. Houses and other spaces can just as well ‘try on’ furniture and other accessories for size and aesthetic fit. Swedish furniture retailer IKEA, for instance, collaborated with Apple on the AR ‘IKEA place’ app to help e-commerce shoppers visualize with 98% accuracy how items might fit inside or outside their homes as they browse online. In a future version of the app, users will even be able to click on a virtual sofa to see how big it is when expanded into a sofa bed. This use of AR can really facilitate the buyer’s journey for IKEA customers: they can seamlessly transition from viewing an item at scale in the intended environment to purchasing it in just a few easy steps. Talk about frictionless buying. So, I hope these practical use cases inspired you. 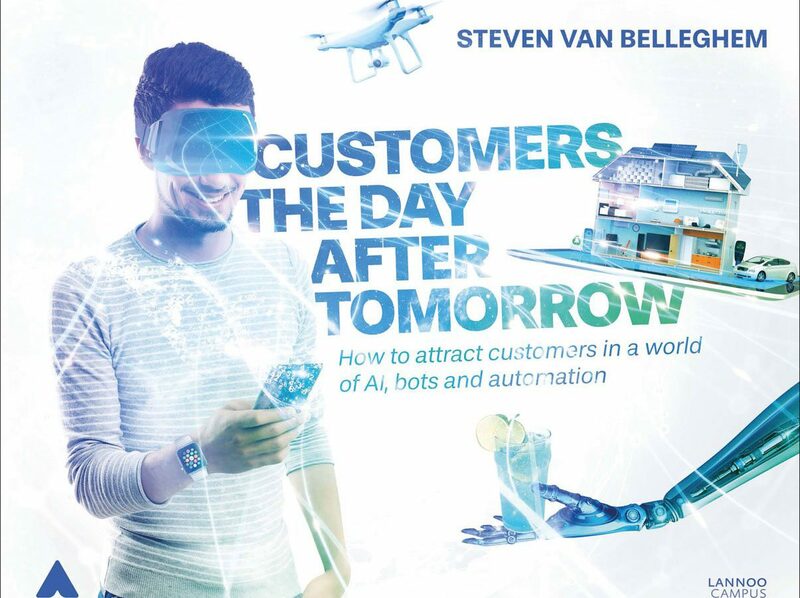 They offer exactly the useful added value that will allow brands to keep interacting (in) directly with customersonce the era of automated and voice-induced buying will take off.